Sign up and receive Property Email Alerts of Vacant Land for sale in The Cove, Langebaan. 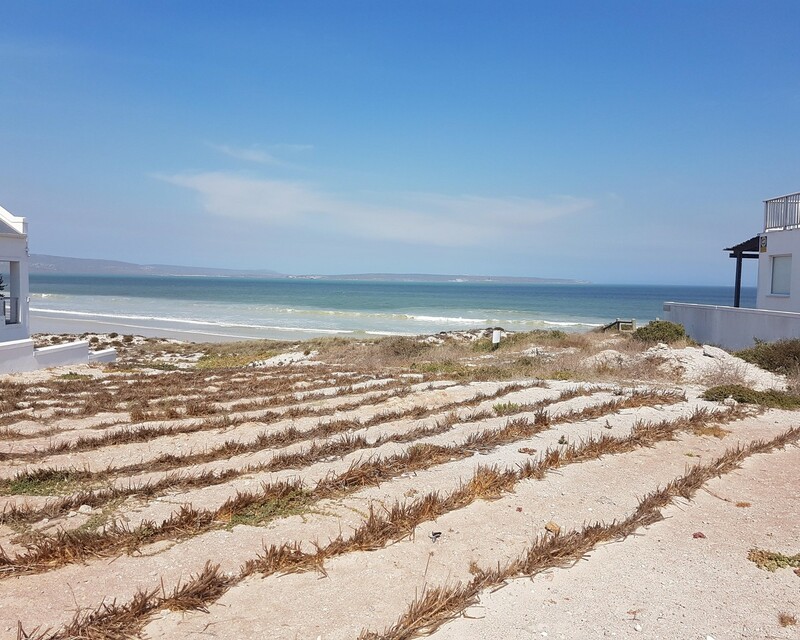 THE VERY LAST BEACH FRONT, VACANT STAND FOR SALE IN THE COVE, LANGEBAAN. Come and Claim your Perfect piece of Paradise in The Cove, Langebaan a well-established and upmarket residential estate with beautiful sea and Langebaan lagoon views. This Stand provides an Ideal location for a Large Beach Front, West Coast Style Home with modern finishes. You could step off your patio right onto the boardwalk leading to a beautiful white Beach. Only 10min Drive to Langebaan's Popular Restaurants and Shops in Midtown Langebaan. In this Safe and Secure Suburb you can expect to experience a sense of freedom and Relaxation in your own Home. Perfect for a Large Family or Vacation Home. West facing toward the Atlantic Ocean and Lagoon. * Great Investment Opportunity for Holiday Accommodation. * Walking Distance to the Pristine Beach. * In close Proximity to the World Renowned Club Mykonos Resort and Casino. * Located in a Fully walled, upmarket estate with Single Entrance/Exit. * Beach Front Vacant Stand. * Land Size 487 sqm in extent. Sign-up and receive Property Email Alerts of Vacant Land for sale in The Cove, Langebaan.